Because even with a dislocated shoulder the heisman Trophy "ain't heavy"..
Kevin has the info over at Sicemdawgs. 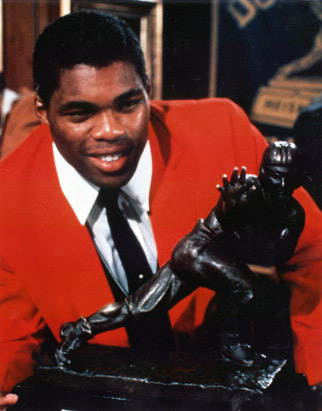 You can vote once per day, so be sure to vote for Herschel Walker every day. EvenHerschel Walker is voting! Y'all know I'm not a big BookFacer. But all you have to do is "Like" the EA Sports page and then vote for THE ONE AND ONLY OBVIOUS CHOICE. I mean I might accept Barry Sanders over #34. But Desmond Howard? Really? Please son.